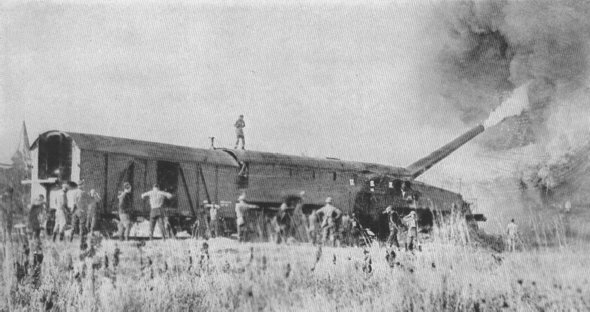 THE ARMY, TOO, HAD RAILWAY GUNSAn 8-inch narrow gauge train of the Coast Artillery Corps. The C. A. C. usually remains at home to guard coast and harbor entrances. With the German navy bottled up at Kiel, several units were released for duty overseas. THE SCOURGE OF GERMAN RAILWAYSThe railroad from Metz to Sedan ran parallel to the front lines, enabling the Germans to rush troops to any threatened point. 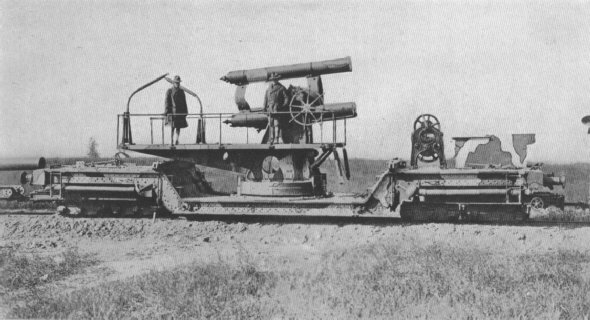 By destroying yards and switches, these naval guns aided in hastening the end of the war.